Walk to the beach from this adorable, clean and well equipped 3 bedroom house. This charming 3 bedroom house is less than 2/10 of a mile from West Dennis Beach. It is fully furnished, has an outdoor shower, gas grill, cable TV, DVD player, sun room, huge cedar deck, nice backyard and great neighborhood. Bedroom one has two twin beds; bedroom two has bunk beds, and bedroom three has a queen size bed. Pillows, mattress pads, blankets and bedspreads are provided. Tenants must bring their own linens, bath and beach towels. The kitchen has coffee maker, toaster, microwave, stove and refrigerator. The kitchen is completely equipped with dishware, glasses, cooking pots and pans, and silverware. There is no dishwasher. 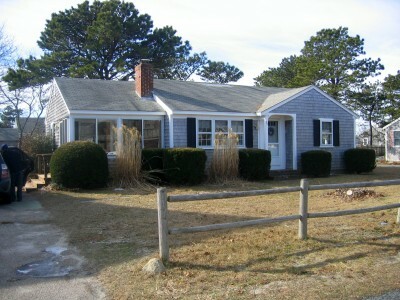 Walking distance to West Dennis Beach and Yacht Club. Close to many restaurants, shopping, and playgrounds. Check in time is 2:00 PM on Saturday. Checkout time is 10:00 AM on Saturday. Multi week rental discount available.